Traditional feature-based SLAM systems suffer in featureless environments. Hence, methods which use unprocessed image data directly have recently become popular. In our work, we revisit the common alternated optimization of pose and depth, by introducing graduated optimization for both in a truly simultaneous energy. DIKT is a robust holistic visual tracking tool that functions using only the appearance of the target in the initial frame of a given video sequence. 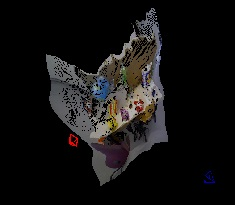 It is an adaptive algorithm and updates its stored appearance model online, utilising newly encountered appearances of the object during tracking. 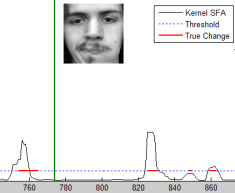 Slow Feature Analysis (SFA) is a subspace learning method inspired by the human visual system; however, it is seldom seen in computer vision. 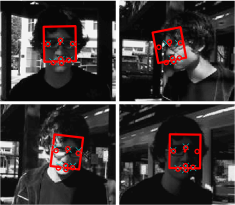 Motivated by its application for unsupervised activity analysis, we develop SFA’s first implementation of online temporal video segmentation to detect episodes of motion changes.